Are you currently in a precarious financial situation? Navigating through all the different loans offered by many financial institutions or private lenders can be confusing. It can feel stressful and hopeless. Do not panic! There is a type of loan for every situation and the most common possibilities are listed and explained below. There are two categories which include 9 types of loans. The first category is secured loans and the second one is unsecured loans. If you apply for a secured loan, you need to pledge a collateral which corresponds to a personal property. If you default, the asset will be transferred to the lender. The collateral can be a house or a car. It is important to notice that the interest rate and loan amount depend on the value of the property you leverage. A higher value can get you a larger loan, thus a better interest rate. Let’s not forget that the loan time frame and the credit history have to be taken into account. Those following loans are the most common secured loans. Mortgage loans are very common in our current economic situation. The collateral is your home. Mortgage loans can be used for many purposes such as home repairs or renovation. This loan works as follow: a lender evaluate your primary or secondary residence and you can get up to 97% of the value of your house as a loan. If you are not the owner, this works a little bit different. You can receive a maximum of 75% of the property value. Once again, the interest rate does not only depend on the value of the house. The rate varies according to the market price, payment terms and credit score. Vehicle loans are also very common nowadays. Many people use cars to work or to travel. So, it is without any surprise that you can easily get this kind of loan from any financial institution or private lender. The collateral, in this case, is your car. Consequently, it gives you a lower interest rate. This loan is paid off with fixed regular payments. It is important to consider that you can only apply to auto loans if the car you desire to purchase is younger than five years old. There are many advantages to auto loans. You can often choose the payment frequency. In addition, many private lenders or other institutions offer the consumers the possibility to choose between fixed or variable interest rates. A fixed interest rate remains the same for all the duration of the loan and reimbursement, while a variable interest rate fluctuates based on a variety of factors such as the Bank of Canada rates. Business loans or commercial loans are a funding arrangement between a business and a financial institution or private lender. It can be used to fund capital expenses or operational costs such as salaries and office supplies. They are short-term loans. To receive the financing, the business pledges a property, equipment or future accounts receivable as collateral. These accounts represent the balance of money due to a company for goods or services delivered or used by the customers. It can be tricky to use them as collateral because if your business defaults, the lender will take the money directly from your customers. This has an irremediable impact on your reputation. 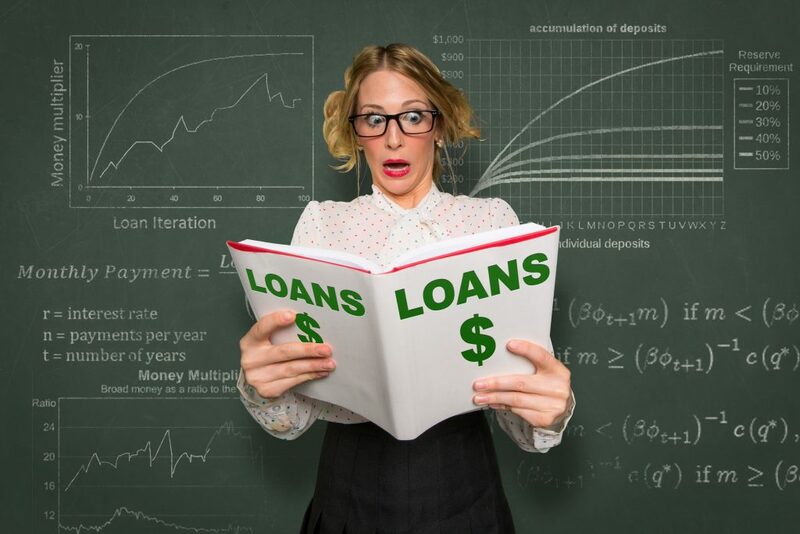 This type of loan is risky for small businesses as any default directly harms their reputation and relationships with clients. There is a loan specific to small businesses. You can read all about it below. On the other hand, we have unsecured loans. As you may presume, these types of loans are not secured with a collateral. In these particular situations, the amount borrowed and the interest rate is based on your credit history and income. They are also called signature or personal loans. This can be the perfect solution if you have a good and steady income and a solid reimbursement plan. There are more unsecured than secured loans. Below, you will find the most popular unsecured loans. Compared to medium and large enterprises, small ones have very few assets to use as collateral for a loan. Financial institutions and private lenders offer unsecured loans to small business owners. However, the owners still have to prove their capacity to pay back. They have to provide a proof of business experience, a good credit score and sometimes a small collateral. It can be difficult for small businesses to receive financing from banks because they tend to fold in their first year of existence. Private lenders can be a good alternative. Fortunately, the repayment terms can be flexible. Some students can benefit from the federal program of Loan forgiveness. If you are a medical student or a professional, you may want to check it out. Payday loans are short-term loans. They cover your expenses until your next paycheck when you have to reimburse it. They are very convenient but usually come with high fees and interest rates. They have many extensive uses. Some use it for unexpected expenses like car repairs or broken appliances. Other take payday loans to pay for heating or electricity bills or rent. It can even be used to cover late charges on bills! Yes, credit cards are a form of loan! As you may already know, credit cards work differently in comparison with the other types of loans. Each time you use it, you borrow a certain amount and you pay it once per month. If you need more money, you can always increase your credit limit. Credit cards are a popular solution because you can borrow money almost instantly once you are approved. However, the interest rates are quite high. You can watch out for “teasers”. The companies offer 0% of interest rate for a while, but it does not last long. Moreover, it can be easy to get in trouble with your bank if you do not pay attention. You may end up paying a huge amount in interest charges. A line of credit can either be a secured or unsecured loan. Indeed, you have the choice to use a collateral against it if you wish. Your investment portfolio or home equity can secure the loan. The home equity corresponds to the total value of your house you actually pay yourself. In other words, it excludes the loan you contracted to help you pay for your house. A Line of credit is mostly used as an unsecured loan. Approved customers have a cap on the amount they can borrow which is determined by their credit. To apply for a line of credit, you need to have an account at the financial institution. If you only need a small amount like a few hundreds rapidly, these are the types of loans you need. Indeed, they are easy to access. There are two kinds of cash advances: based on your income and based on your credit limit. Both categories are reimbursed on your payday or during your next credit card billing cycle. You have to understand that you start paying interests as early as the day you borrow, not the next month as with many other loans. As with credit cards, cash advances cost a lot because of the high-interest rates. Be careful of a few traps. For example, it can be easy to forget to add the interest rate in your budget before you borrow. So, make sure beforehand you have the necessary funds to pay down a cash advance. Also, you should not apply impulsively to a cash advance. You can easily fall into a cycle of debt and interest payments if you do not seriously organize a budget and a repayment plan. In conclusion, there is a loan for everyone. With a little research, you will find the one for your current economic situation. Once you have found a loan, you need to look for the required documents. Be sure to have all documents or you will not be approved for your loan. It can take some time to gather all the information depending on the loan. However, some essential requirements are common. You will probably need to provide an ID such as a driver license, a proof of income and your credit score. Once you have all the necessary information, you are ready to apply! You do not have to worry about the process rapidity. If you work with a private lender, you will have an answer a few days or even hours after your application.